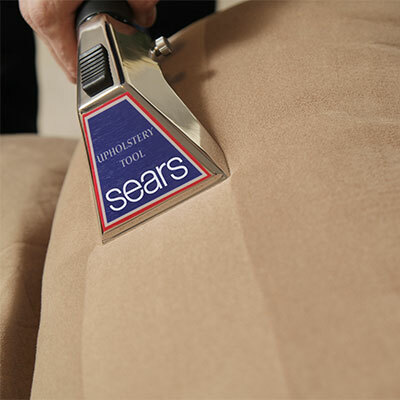 You're getting the best with Sears Upholstery Cleaning - Cleaning, Protecting and Deodorizing. Just like your carpeting, your furniture gives character and comfort to your home’s interior—and, just like your carpet, your furniture will also get dirty over time. At Sears Carpet and Air Duct Cleaning, our technicians specialize in cleaning multiple types of home furnishings. When you need upholstery cleaning services to leave your furniture refreshed, call on Sears. Our technicians utilize a proven two-step cleaning process that features pH-balancing fiber rinse that extracts dirt, grime, odor, and any cleaning solution from your fabric. Quite simply, we have the best upholstery and couch cleaning services in the industry. 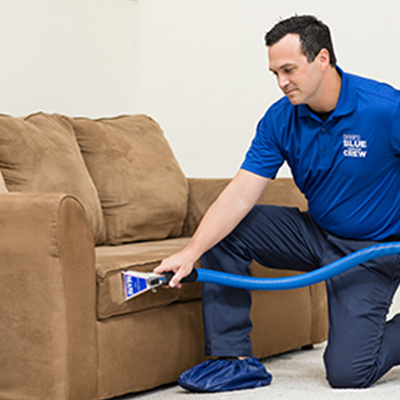 The technician applies the appropriate upholstery cleaning solution to loosen and lift embedded dirt. A specially formulated fabric rinse and vacuum extraction flushes out and removes the dirt, stains, odors, and the original cleaning solution. When you buy new furniture, it will usually have a fabric protector applied at the time of purchase. This protector is meant to extend the piece’s life by protecting against stains and normal wear—but this protector wears off over time. By having the protector reapplied, you help maintain the beauty, color, and vibrancy of your furniture. We recommend the addition of a new upholstery protector after each professional upholstery cleaning. An upholstery protector will not make your fabric immune from stains and spills, but it will provide time to clean up a spill before a stain sets. When discussing upholstery cleaning options with our representatives, ask about the Sears UltraCare™ FourGuard Carpet and Upholstery Protector to prolong the life of your favorite furniture pieces. 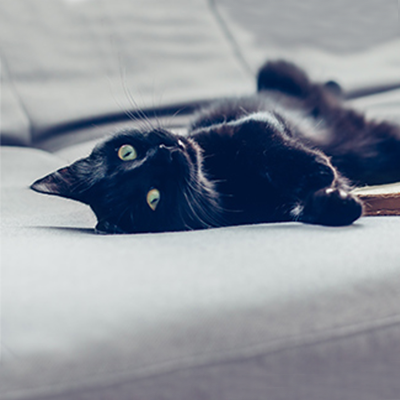 Unpleasant odors, especially from pets, can ruin a piece of furniture. These odors—whether caused by urine, feces, vomit, sour milk, or the like—can be treated with our UltraCare™ Pet Odor Eliminator. 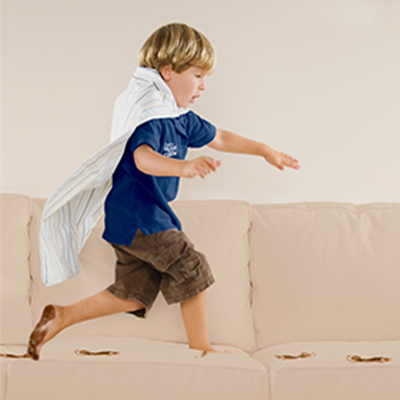 Our powerful furniture deodorizer relies on enzymes that actually digest the organic matter contributing to the odor, returning your furniture to a fresh state. We recommend having our couch deodorizer applied as part of your professional upholstery cleaning services.